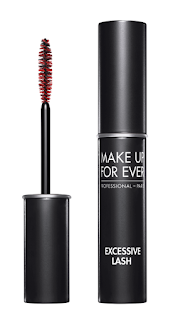 Coming to Sephora July 2016 Make Up For Ever Excessive Lash Mascara! This will retail for $31 CAD and be exclusive to Sephora. I was lucky enough to get my hands on this at Generation Beauty Toronto. This was included in my creator swag bag that I received at the Ipsy Creator Cocktail Party! They describe the brush as "small but mighty". The red fibers will load the lashes with the right amount of product and the black comb through the eliminate clump. I really like the brush on this, I used to only use plastic bristle brushes but now I'm realizing how much I love a natural brush too! This brush adds lots of volume without overloading your lashes and making them spidery or clumpy. 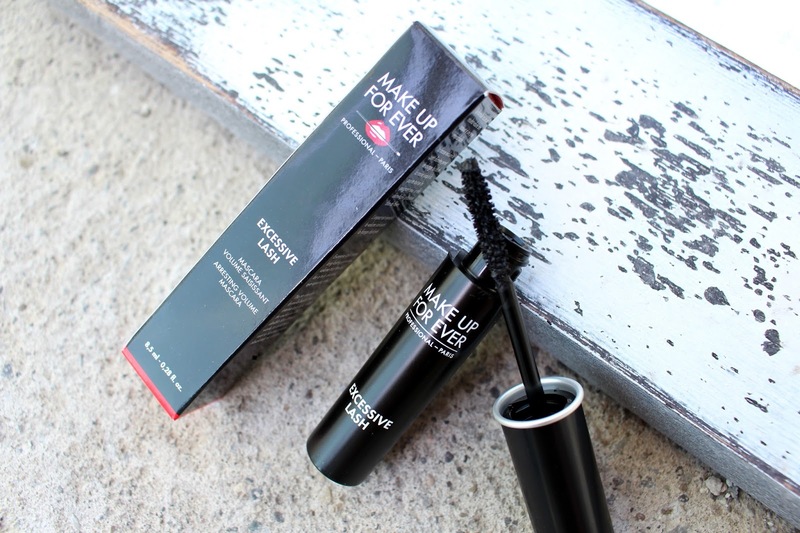 The formula is also super black and super matte. 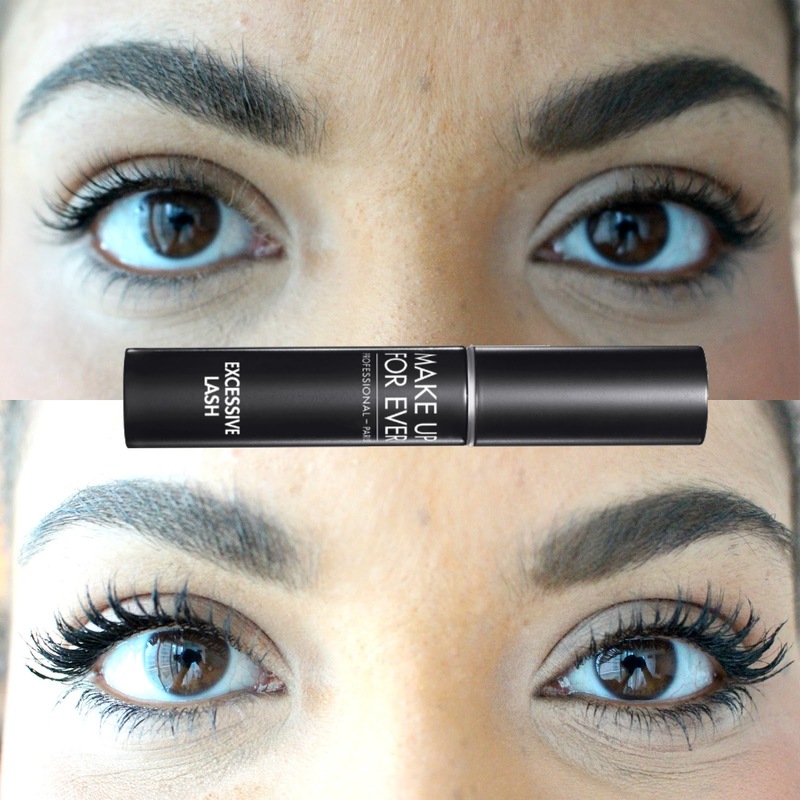 My lashes are naturally curly but with this mascara they have an extra flutter and flare to them. Who doesn't want flutter and flare?! DAAAANG. That lash! I am going to need to get my hands on this at some point - I LOVE MUFE mascaras!